first floor - relaxed seating, study and exhibition area. 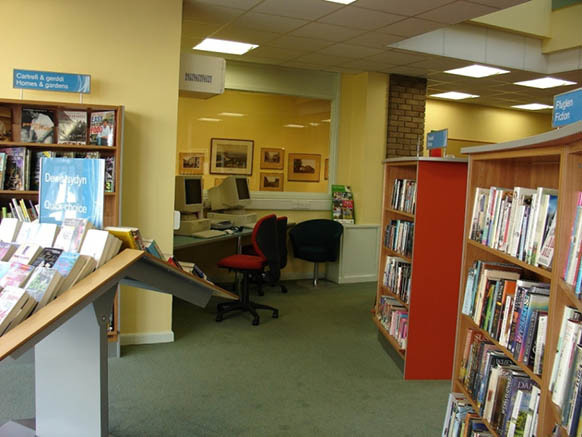 The library is in a very good location on the High Street with on street parking and car parks nearby. The premises were converted from retail use in 1973, since when there had been a minimum of investment. 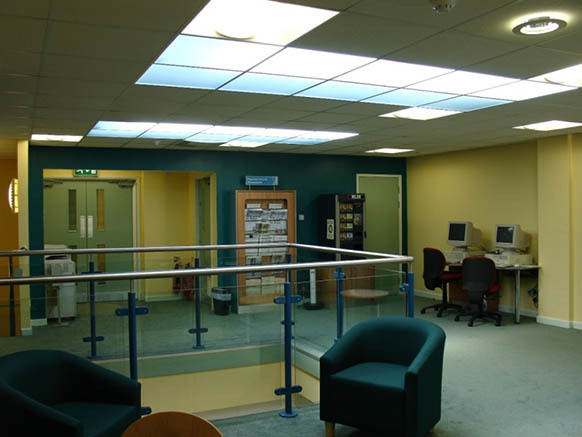 Building work associated with this refurbishment provided full disabled access, with a lift to the first floor. 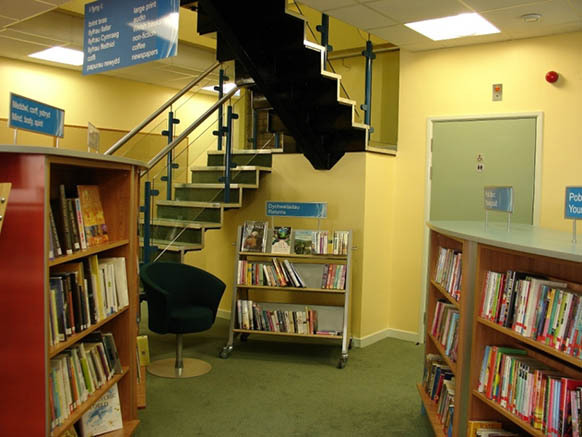 This allowed a full range of services to be provided for the first time from both floors, although the provision of the lift and an accessible toilet has reduced space for services on the ground floor. 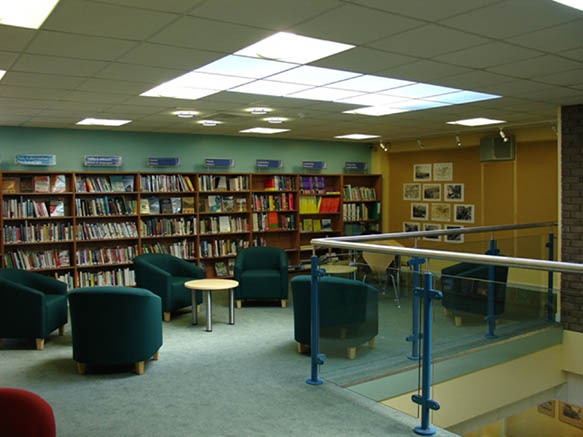 Overall, the level of space after the refurbishment is still considered to be inadequate. 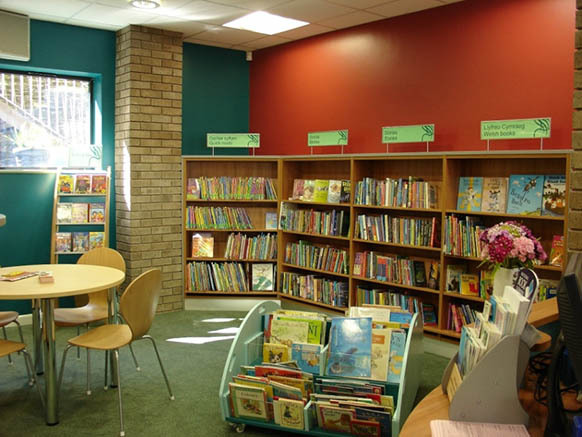 We saw the refurbishment as an opportunity to make full use of the space in the building, to relocate existing services and to introduce new ones. We wanted to create a warm and welcoming atmosphere, with a feeling of lightness and space, and an up-to-date but 'timeless' effect. The 'shop window' gave us the opportunity to attract the interest of passers-by and to promote our services more constructively. The ground floor is bright, colourful and designed to attract the passer-by, children, and the busy quick-choice user. 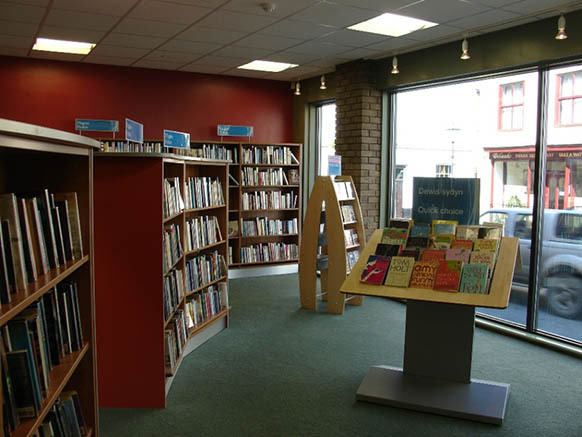 DVDs are in the window facing the street, with CDs, adult fiction, popular non fiction and quick choice, and the children's area. Upstairs there is a calm, relaxed feel, with comfortable and study seating, newspapers, a coffee machine, and exhibition space. 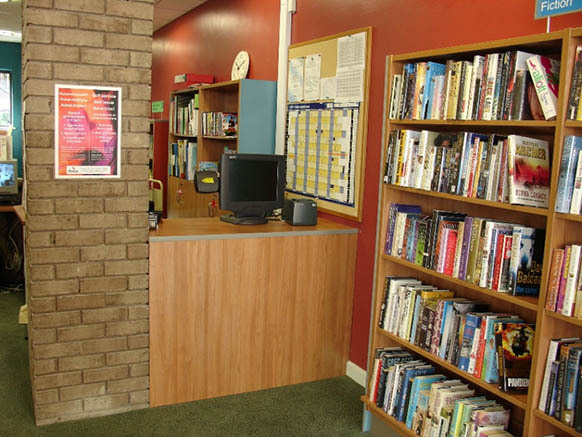 The stock comprises large print, talking books, serious non fiction and reference, and local studies. The public access computers are available on both floors. 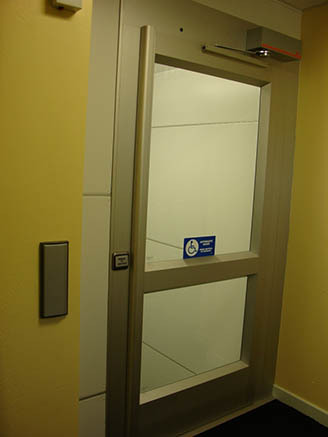 The two different styles have worked very well, with young and old alike happily using the lift or stairs. 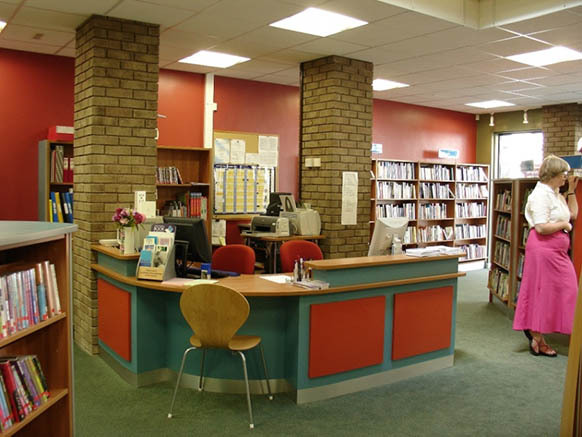 The library is predominantly single staffed, but with approximately 30% of opening hours covered by an additional staff member. 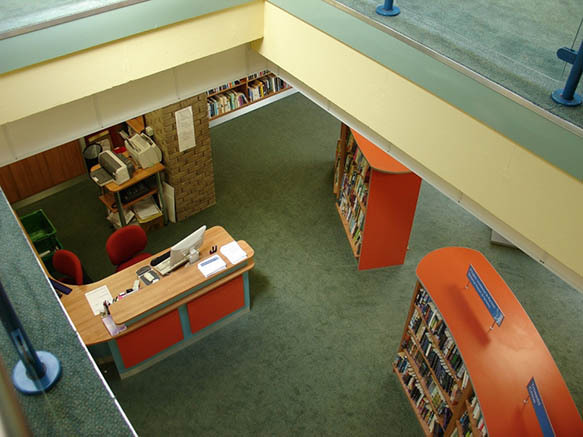 A CCTV system is in operation on the first floor to assist with supervision. To ease the staff work load at peak points, and to aid the busy customer, we have installed a self issue unit at the counter.